Telling stories is something humans have enjoyed since we first sat around cave fires. Nowadays, there are lots of creative digital ways to tell a story. I've chosen some of my favourites here to share with you. Essentially, PhotoPeach is a slideshow, with captions and music added. You upload the photos you want to use by allowing PhotoPeach to collect them from where you've stored them on your computer, then choose from their music to accompany your pics, and write captions to help tell the story. I told you about PhotoPeach in The Book Chook Makes a Slideshow and mentioned it in Add a Quiz to your Slideshow with PhotoPeach. Essentially, you're using your own voice to tell a story and Blabberize animates the mouth of a photo you upload. Once it's done, you can save and share it with others. 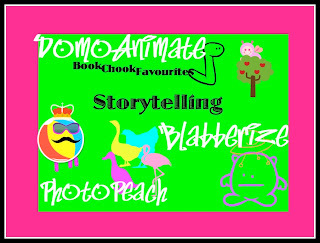 I introduced Blabberize in Blabberize, used it in Merry Christmas from The Book Chook's Kooky Uncle Fred, and again in Creative Prompt: Start a Story with a Wacky Online Tool. This last post has some platforms similar to Blabberize too. Essentially, DomoAnimate is a website where you can tell a story in cartoon/slideshow form, and animate it slightly. Exploring here would make a great project to try with your kids. Although it seems child-friendly to me, as always, parental supervision is advised. Here's an example. Encouraging your kids to tell stories, taking them to storytelling sessions, and sharing your own fictional or true stories is one of the delights of being a parent. Using technology to present a story is not only fun, but gives a result that can be shared with a wider audience. Kids can develop their stories orally, and dictate them to you to make the captions, or write stories themselves. It's the best kind of learning, one wrapped in play! They're also making decisions during the creative process that have them thinking about communication - eg Which music would sound best with my story? How can I set up this photo to best show my character's feelings? What voice would a pirate use? If you want to try low-tech ways of storytelling with kids, read my posts, Sixteen Sensational Storytelling Ideas and Create a Story Box. 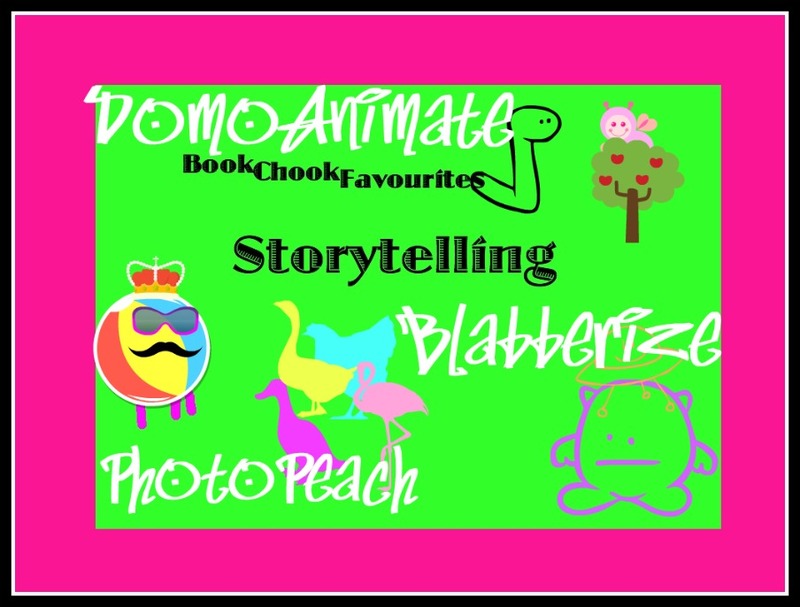 Check out earlier posts in this series: Book Chook Favourites - Poster Creation, Book Chook Favourites - Book Creation, Book Chook Favourites - Cartoon Creation, Book Chook Favourites - Word Play and the letter that started it all.